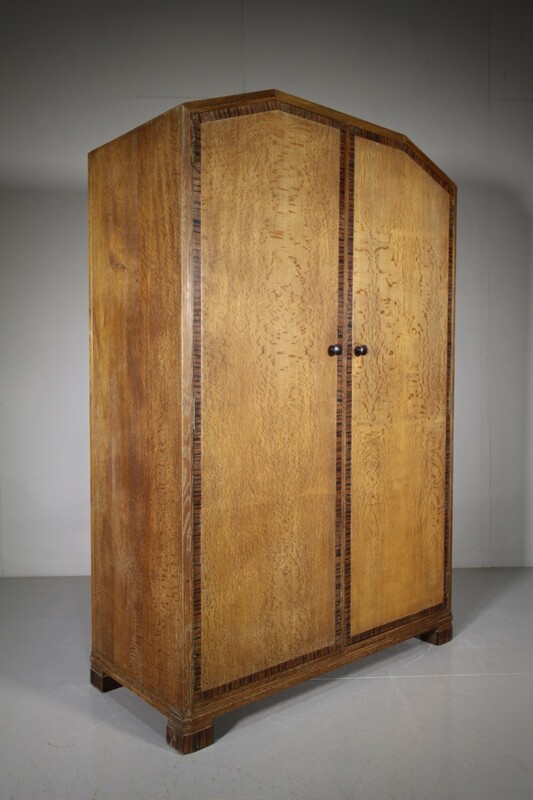 This English oak bedroom wardrobe is very expensively produced by Heals of London in the late twenties. 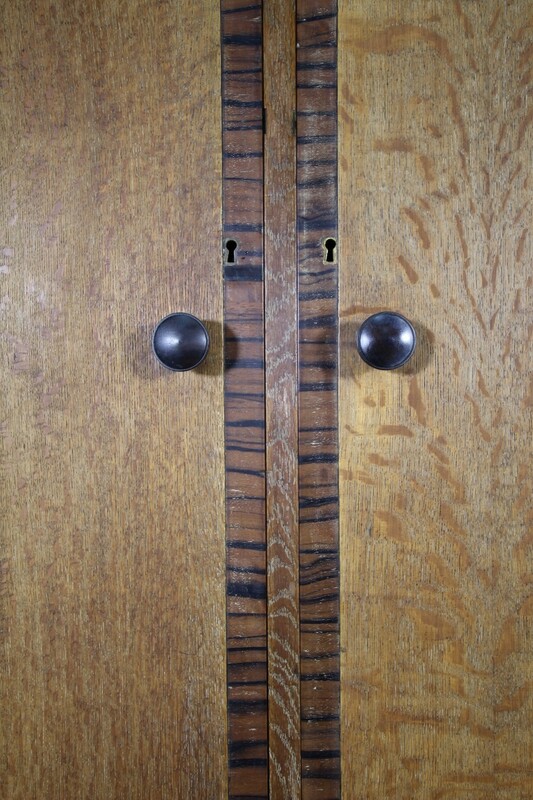 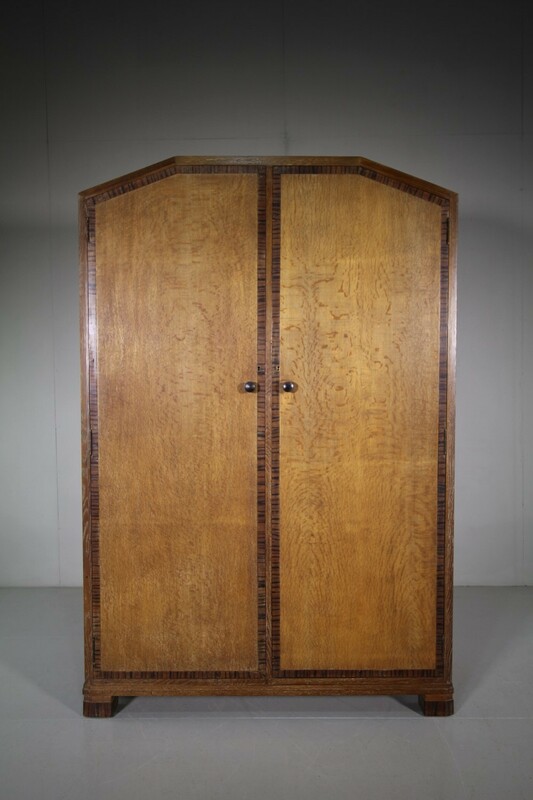 The wardrobe has two long robe doors that are cross banded in exotic woods such as coromandel. 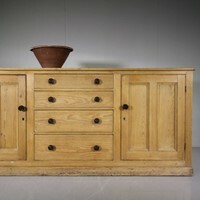 In superb condition, inside and out. 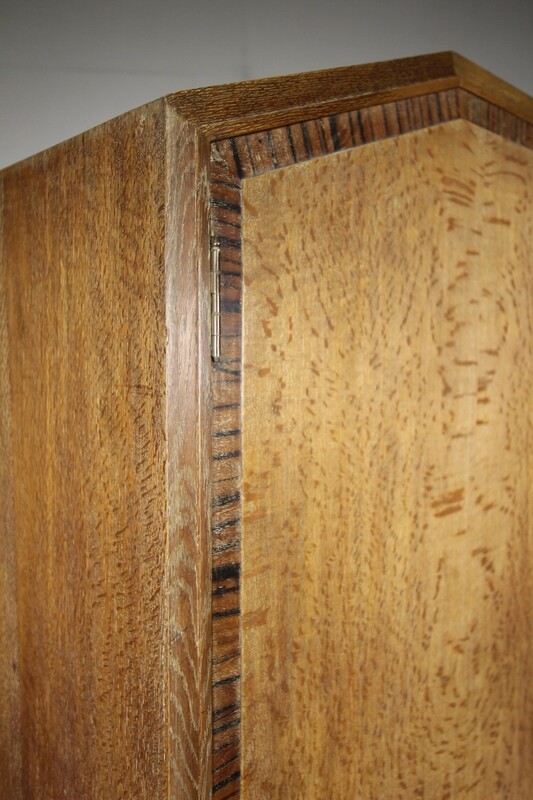 Made in one piece, so beware when measuring up. 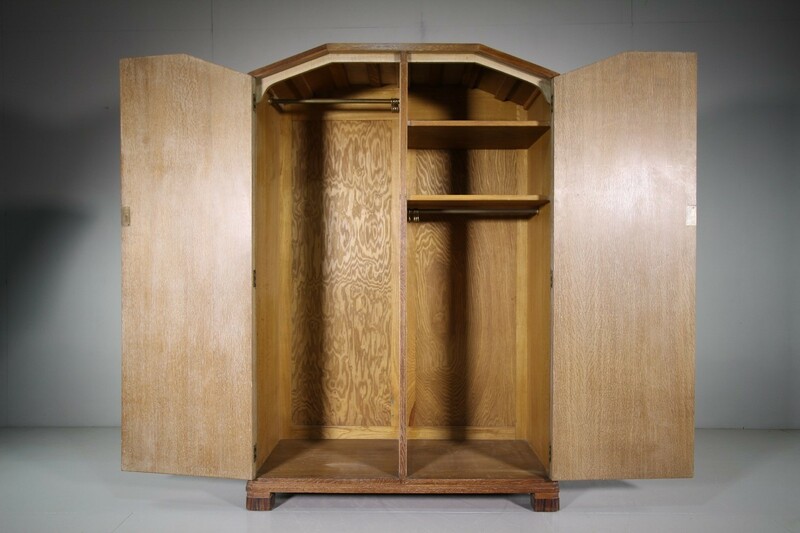 Inside this Heals wardrobe is a full height hanging space to one side, a half height hanging space to the other with two storage shelves above. 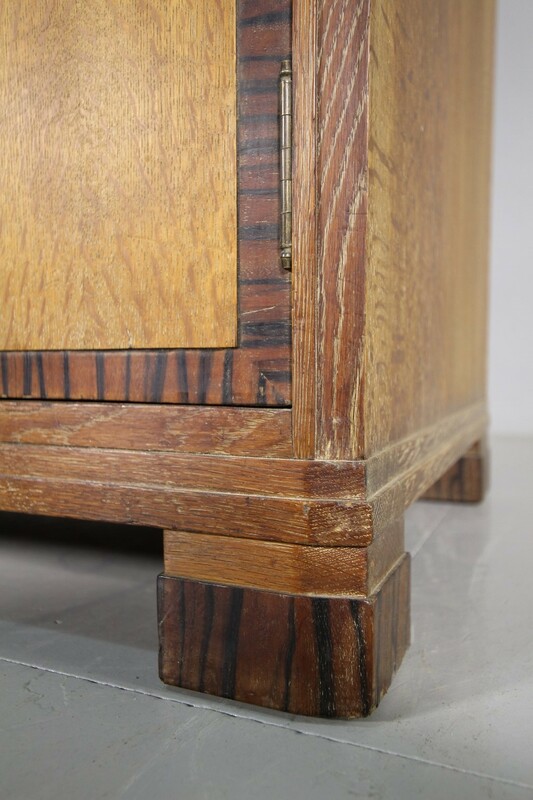 A beautifully designed and produced model, very original with turned rosewood handles and feet that are veneered in coromandel woods.